Had to get some work done on the Suburban today, 110 miles away in Livingston, but on the return we were treated to these dancers of the rocks. 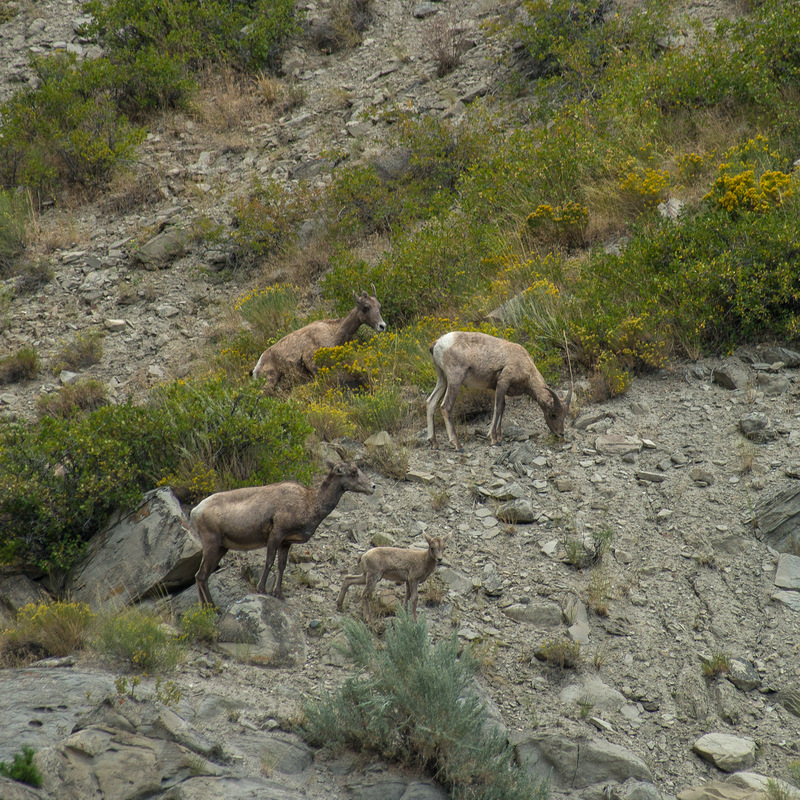 We have been lucky enough to see the many variations of Bighorn Sheep. Dall sheep are very white and are found in Alaska. 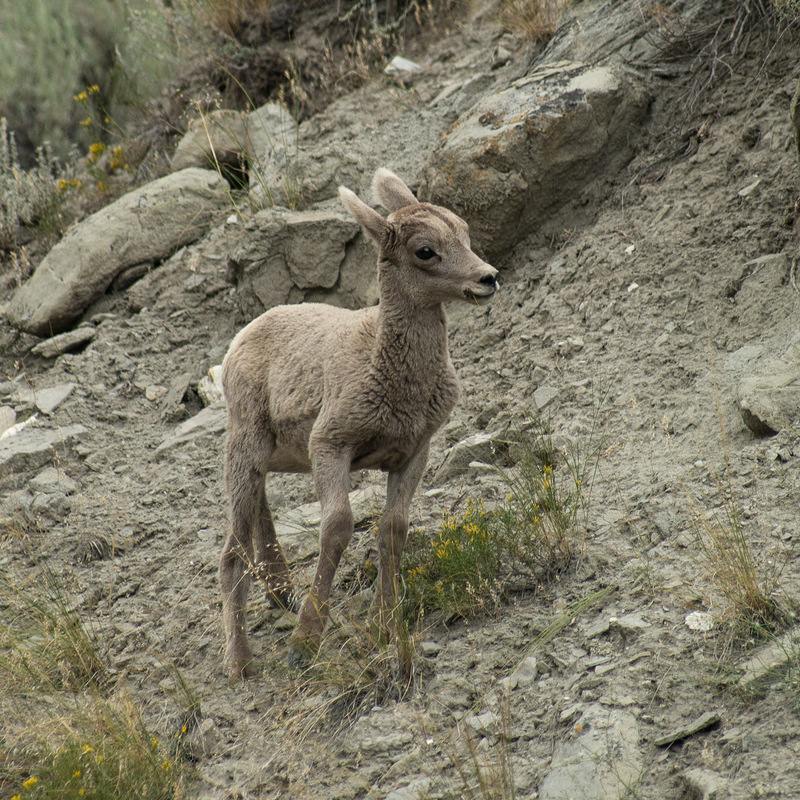 Stone Sheep are found in northern Canada and are like Bighorn with a dark gray dusting on their chests. 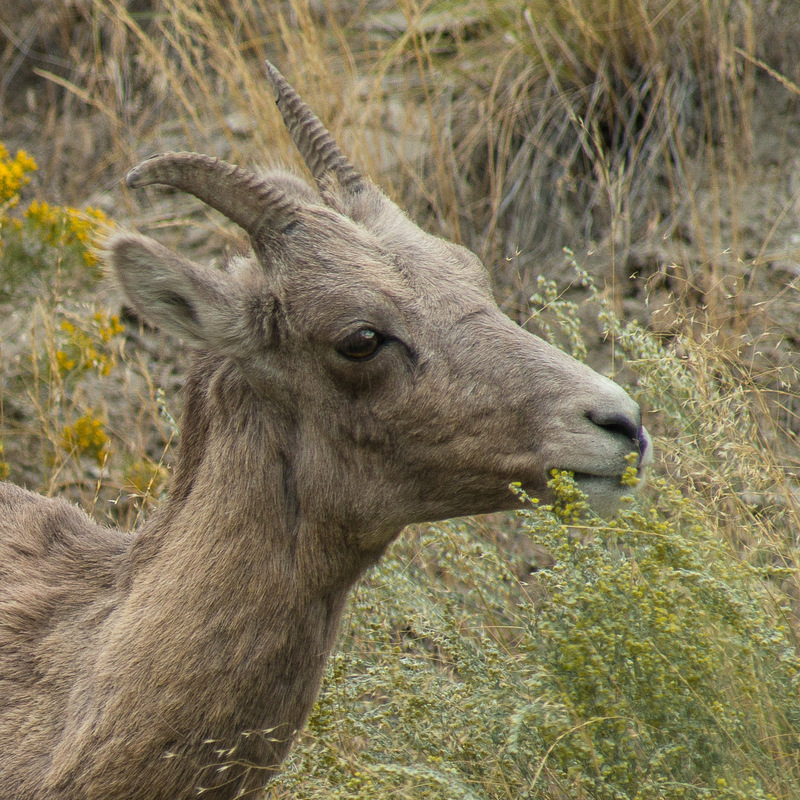 Rocky Mountain Bighorn are tan/grey to light brown and Desert Bighorn are darker tan with patches of dark purple and brown.